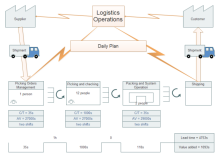 This guide provides an overview of the quick tips for creating value stream maps and offers a directory of some other resources on the subject. It seems simple but requires patience for details. 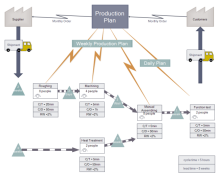 The aim of value stream map is to help your organization develop a plan for action. The following tips here will help you make sure to use value stream map to aid you in business organization to come up with a positive change instead of wasting time. 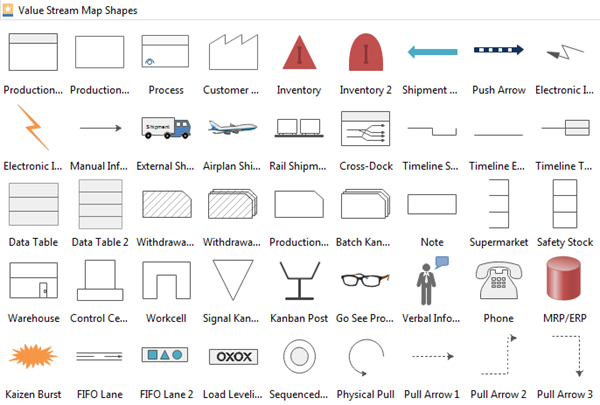 To create a great value stream map, get a good knowledge of the several basic value stream map symbols and the key is to use them wisely. Edraw, a professional fault tree diagram software, provides all standard value stream symbols for any situations. Start by drawing a map with pencil to lay out the steps. Then use value stream map maker to map out a complete map. For the first time, you better create a value stream map by hand to get a general idea how it works, just remember to use symbols to replace your sketching. It would be much convenient and easy to understand. 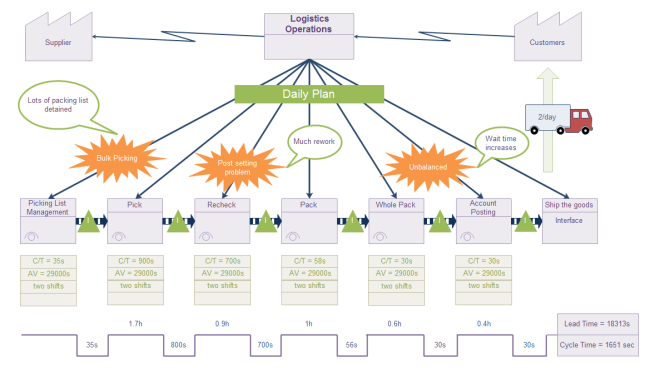 When you create your value stream map, make sure to keep it at the appropriate level or scope. 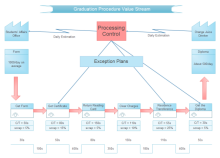 Limit your value stream map to between 10 and 15 steps. Otherwise it will be too complicated. The current-state map shows where to focus your efforts, so you can draft a map that shows how value will flow through an improved process.